Students after SPM or O-Levels with at least 3 credits may enter into the 2.5-year Diploma in Film & Broadcasting at IACT College. Upon completion of the Diploma in Broadcasting programme, they can then continue on to Year 2 of the 3+0 UK Degree in BA (Hons) Media, Culture and Communication (Broadcast and Digital Media Option) University of Sunderland, UK . Alternatively, students after SPM or O-Levels with at least 5 credits can consider taking the Foundation in Media Studies at IACT College. Students would also need the same results in SPM or O-Levels to enter the Diploma in Film & TV Production at POINT College. UCSI University offers the Mass Communication degree with a major in Film Studies while Taylor’s University offers the Mass Communication degree majoring in Broadcasting. To ensure that you make the right choice for the Film Studies or Broadcasting course, do look at the subjects offered by the colleges and universities in Malaysia. From there, you can decide which one fits your needs. You can also contact EduSpiral Consultant Services to help guide you in this important decision. At IACT College, you will learn in detail about the art and science that go into film & broadcasting, both in front and behind the camera. Classes for film & broadcasting are hands-on and ensure students have significant time working with the equipment. That means the Diploma in Film & Broadcasting students at IACT College will learn how to operate AV control panels, lighting and various types of cameras. Diploma in Film & Broadcasting students at IACT College will also be exposed to other related areas, such as client service management, media, creative production and more. To enter the 2.5-year Diploma in Film & Broadcasting at IACT College, students will need at least 3 credits in SPM or O-Levels. Upon completion of the Diploma in Film & Broadcasting programme, they can then continue on to Year 2 of the 3+0 UK Degree in BA (Hons) Media, Culture and Communication (Broadcast and Digital Media Option) University of Sunderland, UK . The 3+0 degree programmes are in collaboration with the University of Sunderland, UK. Alternatively, students after SPM or O-Levels with at least 5 credits can consider taking the Foundation in Media Studies at IACT College. Always wondered what it is like to be part of producing and making TV programmes and commercials? Then you should consider the Diploma in Broadcasting at IACT College. At IACT College, you will learn in detail about the art and science that go into broadcasting, both in front and behind the camera. Classes for broadcasting are hands-on and ensure students have significant time working with the equipment. That means students will learn how to operate AV control panels, lighting and various types of cameras. Diploma in Broadcasting students at IACT College will also be exposed to other related areas, such as client service management, media, creative production and more. Intakes for the Diploma in Film & Broadcasting at IACT College are in January, April, June and August of each year. For more information please WhatsApp 01111408838. New Media will introduce you to critical concepts and hands-on skills related to so-called “new media” – which, as we shall see, are mostly a reconfiguration and re-contextualisation of older media such as film, television and graphic design for print publications. Also, we study how in some very important ways new media phenomena such as the World Wide Web and Multimedia CD-ROMs/DVDs do modify the user’s experience of text, image and sound. We will consider these significant shifts in the reading/viewing/listening experience while remaining mindful of new media’s connections with the old. 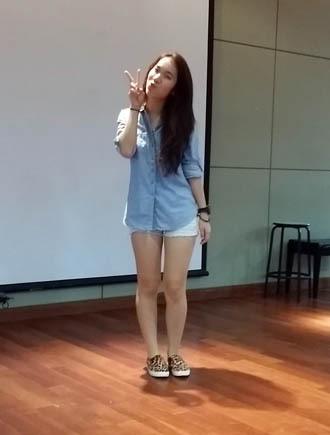 Student will also explore on emerging new media specifically for the broadcast industry. Students will learn the basic skills needed to work in radio and develop your own personal talents and style as a communicator. Besides gaining skills as an audio technician, board operator, or disc jockey, you will also uncover the abilities to become skilled in news writing, interview techniques, communication ethics and regulations. The opportunity to intern in a variety of jobs with a radio station will be provided via partnerships with various AM and FM stations. This course looks at the basic disciplines of creativity in video production. The use of creative thinking in planning production, the creative process and their applications, creative approaches and styles, and art direction in production. This subject teaches students on how to engage in the programming processes, program structure, programming media, practical programming experience, and current issues. To that end, each class period will include practice quiz, presentations of issues based on current articles or web sites, presentations on project pitches and viewing and discussion of programmes. To shoot you must be organised. You will turn to time and time again during pre-production and during your actual shoot. Production management and coordination is loaded with charts and organisational information on how to keep your shoot on-schedule, on-budget and finished with quality. This subject provides a thorough grounding in filmmaking. Students are expected to be involved in directing, cinematography, editing and sound design in the process of producing a short film. *Note: Modules are subject to change to reflect the current industry needs. Bachelor of Arts (Hons) Media, Culture and Communication (3+0), in collaboration with University of Sunderland, UK, explores the integrated media context by which communication is conducted within today’s industry. Students at IACT College will specialise in one of three areas providing them with a competitive edge for employment: Public Relations, Journalism and, Broadcast and Digital Media. The world of Film & TV is demanding and is certainly one which thrives most on uninhibited creativity. The industry is demanding, discerning and incredibly selective. Here at POINT College, their Diploma in Film & TV arms students with just the right amount of knowledge, attitude and hands on training with real studio experience at our very own 59’ X 64’ studio that is world class. Plus, Point College students will definitely have an added edge, studying closely with Award Winning Industry Professionals and with the college’s constant collaborations with International Film and TV projects. All of which guarantees phenomenal exposure and recognition, allowing POINT College’s students to even make a name for themselves before graduation. Point College, licensed and approved by the Ministry of Higher Education, is set to take the educational lead in nurturing Malaysia’s Creative Content Industry by offering diploma courses in New Media, Graphic Design and Interior Design. Taught by industry professionals, our world-class programmes will enable students to specialise and excel in fields of Film & TV, Animation, New Media, Design & Visual Effects, Game Art, Communication and other Creative Content. Recently, realising the need for industry ready design graduates in Malaysia, Yokichin formed Point College. Point College students will have the edge benefiting from Yokichin’s vast award-winning experience and network in the industry. Point College students will have the opportunity to gain hands-on experience in the international Film, TV & Communications industry. Backed by industry professionals and supported by some of the biggest names in the industry, Point College’s internship programmes offer students an opportunity to work with some of the best organisations internationally and locally. This real-world experiential learning opportunity will lead to employment opportunities and the ability to work productively from day one*. Point College is located strategically at Sunsuria Avenue, Kota Damansara, Point College provides a conducive environment for creative learning and advancement. Encompassing a modern and functional layout with some of the best equipment available, this state-of-the-art college features unique spaces for film, photography, reading, recording and many more. Students after SPM or O-Levels who are sure of taking mass communication may go for the Diploma in Communication or Foundation in Communication at Taylor’s University. The Foundation is 1 year while the Diploma will take 2 years and you will enter into Year 2 of the degree programme. Students may choose 5 mass communication majors for their degree at Taylor’s University. The majors are Advertising, Broadcasting, Public Relations, Public Relations & Event Management or Public Relations & Marketing. Students who are not sure of which arts-related course may take the Foundation in Arts at Taylor’s. Taylor’s University is acknowledged to be the best university for mass communication & broadcasting in Malaysia having won many awards and an excellent industry-centred curriculum. Taylor’s University Broadcasting degree programme exposes students to a broad spectrum of broadcasting areas, including script writing, multimedia creation, video shooting and editing, audio recording, directing and producing programmes to inform, entertain or shape society at large. Taylor’s students will work with industry-standard facilities such as the audio & video editing laboratory, and audio recording & broadcasting studio, providing exposure to latest software and practical experience with relevant equipment. Students are also trained to use the latest industry-standard software such as Final Cut Pro and Pro Tool. The Bachelor of Mass Communication (Hons) (Broadcasting) degree programme at Taylor’s University has a Journalism minor where students will explore different reporting styles and publications. In addition, students will undergo a 10-12 week internship experience with production houses, broadcasting firms or media agencies provide real life experience and understanding of the various job functions. Students will also receive equal recognition and certification from both Taylor’s University and the University of the West of England (UWE), UK and the option to transfer to UWE in the final year. Students are required to complete the 6 modules within the same minor. collaboration with the University of the West of England (UWE), UK. A quality review committee, comprising academics from both institutions, is established for quality assurance and the moderation of the standards of the programmes, which includes curriculum and assessment. Students will receive certification from both Taylor’s University and UWE upon completion of their degrees at Taylor’s. study six months after graduation. Bristol is the eighth largest city in the UK, the largest city in the south west and is home to many large businesses and employers including Airbus, AXA, BBC, Environment Agency, Hewlett Parkard, Lloyds TSB, Ministry of Defence and Rolls-Royce. The University of the West of England, Bristol or affectionately called Bristol UWE is one of the most popular universities in the U.K. with a lively intellectual and social mix. The history of the University goes as far back as 1595, representing a long and well established tradition of first class professional education and training. The Department of Screen Media and Journalism is part of the Faculty of Arts, Creative Industries and Education. It has a reputation for high quality teaching informed by the latest research and featured in the top ten of UK universities for student satisfaction in their courses in journalism, film, media and cultural studies. The Department also partners some of the most innovative and prestigious cultural organisations in Bristol such as the BBC, Watershed Media Centre, the Pervasive Media Studio and the Festival of Ideas. It also sponsors Encounters International Short Film Festival and Compass Film Festival. These organisations offer master-classes and careers advice to give greater insight into the creative industries. Seven degree studentsperformed in an integrated PR and Marketing competition via a social media campaign to promote fuel efficiency and safe driving tips. They also executed on-ground activation at AvenueK Shopping Gallery. Diploma students won the short video competition organised by the Crime NKRA team and the Performance Management and Delivery Unit (PEMANDU), a division of the Prime Minister’s Department. Eight students from SOC conducted research, presented a plan and implemented their proposed campaign for two months to educate the next generation of drivers on fuel efficiency. SOC students emerged as winners in the National Student Art & Photography Competition which aims to encourage the expression of creativity and instill the preservation of arts and culture amongst youth. School of Communication students study in a modern tropical campus with conducive and state-of-the-art facilities catered to their studying needs at our brand new Taylor’s Lakeside Campus. The Audio Recording Studio is specifically designed for students to learn about audio production work. It comprises a studio and a panel control room which is built with high quality acoustic materials that creates a conducive environment for professional audio recording purposes. It is well equipped with industry-standard state of the art hardware and software. 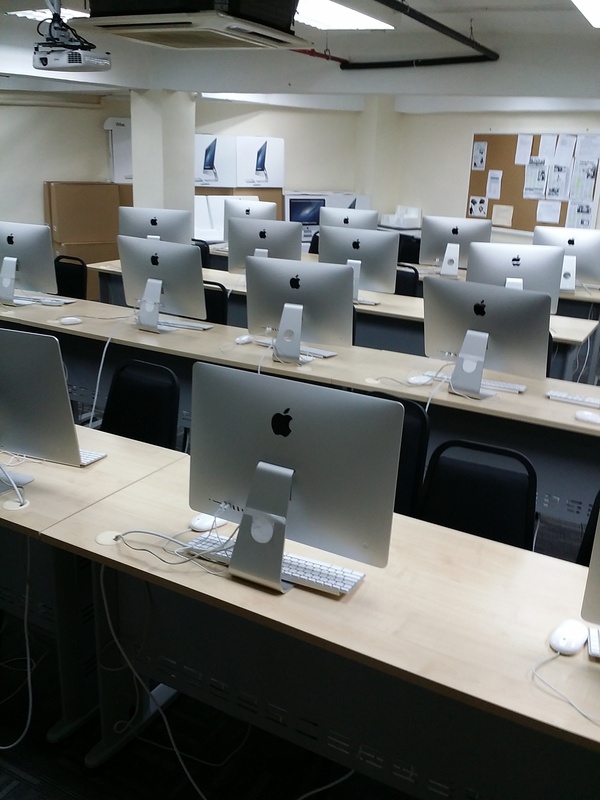 The Audio Editing Laboratory has 18 workstations complete with Apple iMac and Pro-tools editing software that enable students to acquire the skills and knowledge in audio editing process. This lab has 24 workstations which are well equipped with the latest Adobe Premier Version and Final Cut Pro that is in line with the current industry practices for video editing. Students will learn about editing for still and motion picture programmes like drama, news, documentary, entertainment, sports and as well as advertising and promotional materials for both the traditional media and new media. This is a dedicated workspace for students to brainstorm and develop innovative ideas through guided techniques taught by experienced lecturers. The whole workspace is designed with special wall and table surfaces for students to pen down their colourful ideas. The Newsroom is a real workstation created specifically for Journalism students to experience the working environment in a news media organization. Students will undertake a series of process in news publication which include research, news reporting, editing and as well as publication layout design. This consultation suite is specifically designed for students to experience the real life challenge of a Public Relations consultancy. Students will be expected to take on the role of a consultant in providing their expertise in the field of Public Relations to meet the needs or requirements of a real client from the industry. The million-dollar TV Studio is well equipped with broadcast studio cameras, digital consoles and lighting equipment specific for studio recording productions that are on par with international broadcasting industry standards. Besides hands-on training, students are groomed to develop essential skills from content developing to scriptwriting, casting, directing, producing and post-editing. the dynamics of Mass Communication in today’s fast changing world. It synthesizes theories, research, practical and intellectual discourses on critical issues in order to develop and instill within students the potential to achieve performance and inculcate leadership qualities in the field of Mass Communication. 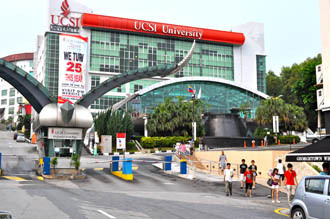 Students can choose their major in the final year of their studies at UCSI University.